David conducted some tests looking at the practicality of exchanging incandescent bulbs in the instrument fascia with LEDs. 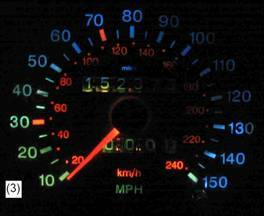 These tests are a rough guide only, to show what a dash might look like using LED’s, and these are his results. 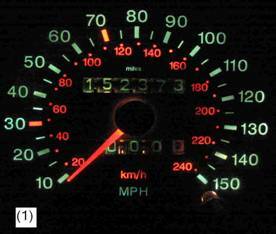 The test dash is from a 1990 Granada and photographed in a semi dark room. Photo 1 – normal bulbs x3 positioned behind 20, 80, 140. 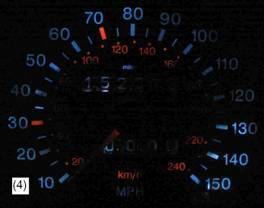 The wide angle of light dispersal illuminates the rest of the dial. Photo 2 – One LED positioned behind 80. 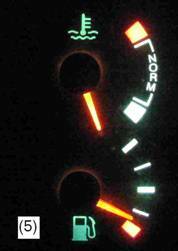 Two normal bulbs behind 20 and 140. Here you can clearly see the blue tinge that is a minor problem with white LED’s. 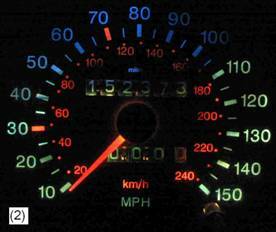 Also because of the LED’s being directional there is loss of illumination at 40-50 and 100. Photo 3 – Two LED’s one normal bulb. Photo 4 – Three LED’s here you can clearly see the lack of illumination at 40 and 100 / 110. However to the naked eye I think it is still visible enough. Photo 5 – One normal bulb, slightly over exposed. 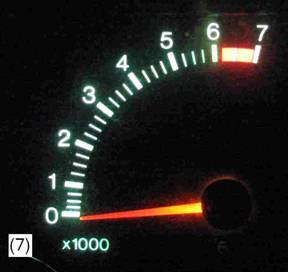 Photo 6 – One LED, this time the light fall off is noticeable on the temp and petrol symbols. The pointers look fine. Photo 7 – Two normal bulbs , slightly over exposed. 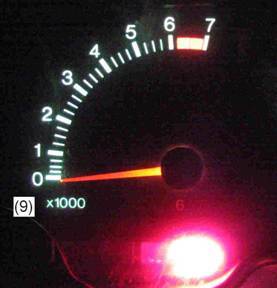 Photo 8 – Two LED’s seem to get good illumination over all. 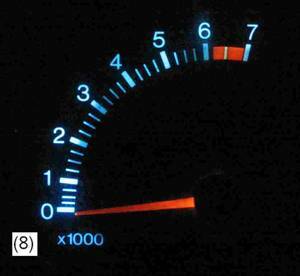 Photo 9 – Normal bulb in rev counter and normal bulb in battery charge light. I deliberately left this over exposed. First reason all photo’s have the same settings. Secondly to show how bright a normal lamp is when concentrated in a small enclosure. 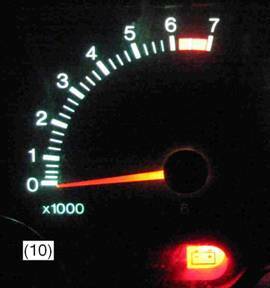 Photo 10 – Normal bulb in rev counter and LED in battery charge light. These LED’s were more directional than a normal bulb. They were polarity sensitive i.e. if you put them in the wrong way round they will not work. I think the LED’s will be good enough if the correct size is used and they are advertised as wide angle. The latest LED’s are brighter still. Don’t buy the multiply LED 501’s as these are for side lights. The smaller wedge bulbs will be difficult to change and I’d suggest buying the holder as well. One final thought that occurred to me whilst reading some posts on the email list about checks when starting a car after its been standing. battery, oil, petrol etc. 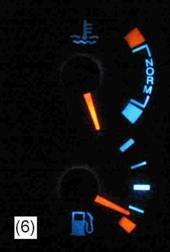 How many of you check your warning lights are working when starting the car every day / week?